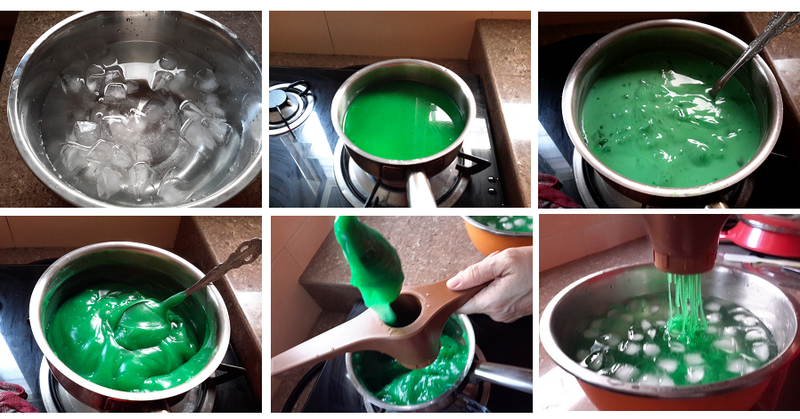 *How to get concentrated Pandan Juice，please referWendy's blog. 1. Prepare a big container of ice cold water. 2. 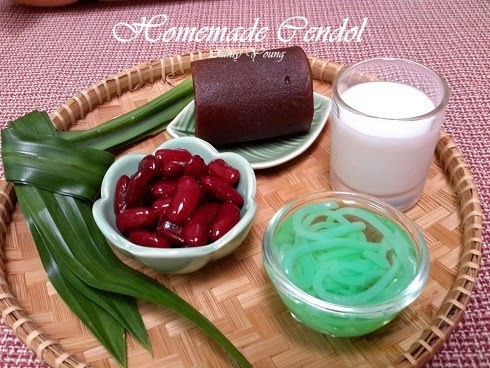 Cook all the cendol ingredients in a small pot over a small flame while stirring constantly. 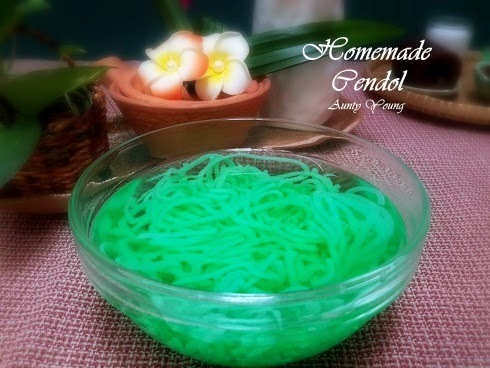 When the cendol has thickened in consistency and looks shiny, transfer it into the cendol mould and press out the cendols into the container of cold water. Store the cendol in the fridge. 3. Cook the palm sugar + water in a small pot and sieve before use. 4. 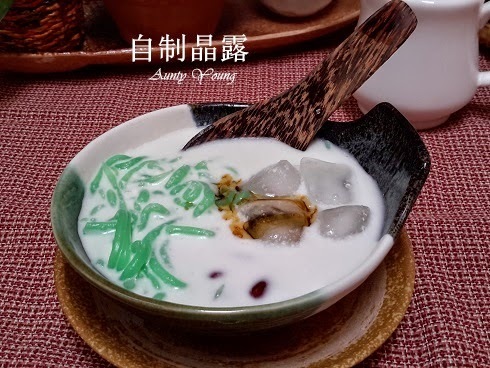 Put a suitable amout of cendol, kidney beans and ice cubes into a dessert bowl, then add in the coconut milk and palm sugar before serving. One of my favourite desserts. Used to enjoy a bowl almost weekly during my younger days from the famous Cendol stall in Penang. 1 cendol, please. Can I order a bowl of ais kacang with more chendol please? Home made is always the best! 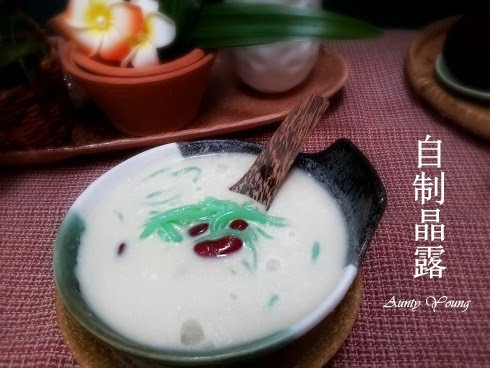 Hi Aunty Young, this is one of my favourite desserts.